I don't know yet where I will teach this winter but I've an idea that I will have more than one scholar. If you know of any such school just refer the "one scholar" to me and I'll give him instructions my mail. 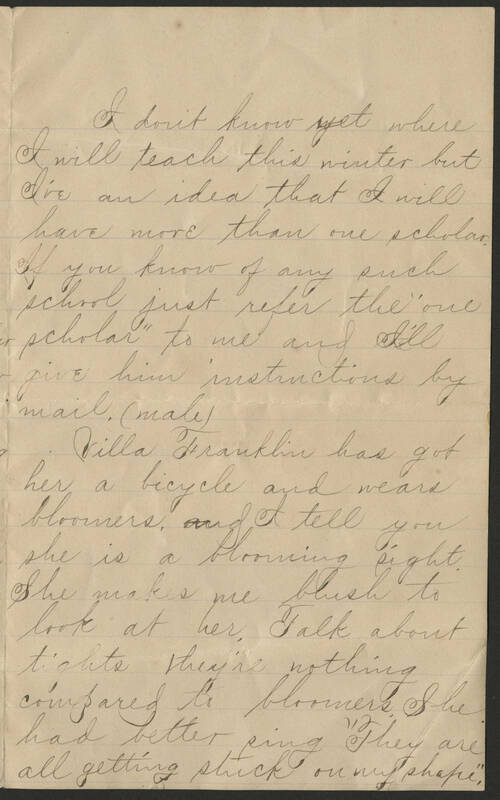 (male) Villa Franklin has got her a bicycle and wears bloomers. I tell you she is a blooming sight. She makes me blush to look at her. Talk about tights they're nothing compared to bloomers. She had better sing "They are all getting stuck on my shape."